Is customer database validation powering your marketing? Let’s face it, whilst the majority of marketers would agree that data is their most valuable asset, the fact is that most businesses have a whole heap of rubbish in their database. You just can’t keep data clean. 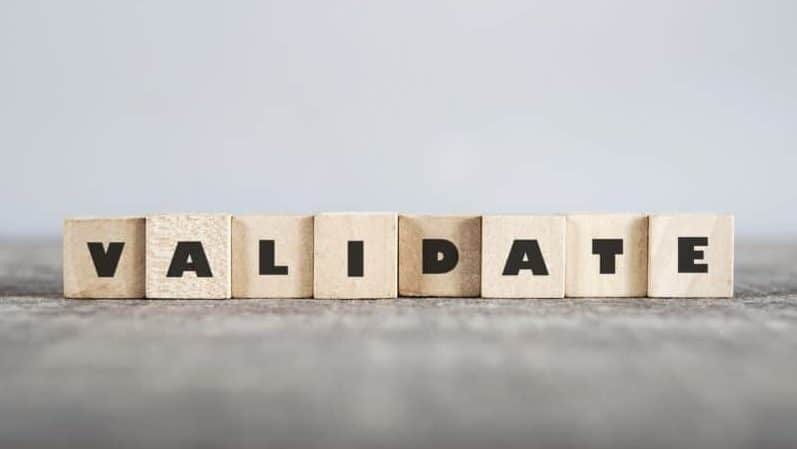 Yet, customer database validation is absolutely essential if you want to power your marketing and achieve your sales objectives. And, that’s super frustrating for us marketing folk as we spend hard-earned marketing funds trying to laser target new business through prospecting or through upselling and cross-selling to existing customers. Have your customers forgotten you? The problem is that you can’t laser target the wrong audience. Unfortunately, the term ‘customer’ is a somewhat relative thing. We find that some ‘customers’ that we call for our clients are actually not really customers at all. On one hand, the last order was perhaps tiny and ages ago and on the other, the buyer has changed sometimes several times over. Simply put, data ages. People change all the time. They move jobs. They get promoted. They resign and new people come in. Equally, and frustratingly, businesses are unable to reach out regularly enough to customers and prospects on their database to maintain the integrity of the information contained in the system. As a consequence, customers fall out of love with them and some past (often lapsed) customers barely even know your business. They certainly have no affinity towards you and your products and services. Likewise, there may be multiple contacts and targets within different departments in large organisations that just compounds the problem. The consequence of all of this is that companies typically leave a lot of money on the table with their customer base. They miss opportunities. Customers go elsewhere through inattention and businesses waste significant sums of money on poorly targeted marketing efforts. If you have a large portfolio of products or services and sell to large numbers of customers, how do you assess the level of accuracy in your data? How do you ensure that your data is valid? Without good data, your marketing efforts will be hampered and your results reduced. And, with forthcoming new data protection (GDPR) and PECR (Privacy and Electronic Communications Regulations) legislation, you need to make sure now that these new rules don’t impede your ability to market to your customer base. You could ultimately find yourselves in hot water if you’re not careful. Consent is likely to become harder to achieve and you need to make sure you have the okay to communicate with prospects and customers alike. What’s more, you won’t be able to rely on old consent that was provided ages ago where the prospect (as opposed to an actual customer) is likely to have even forgotten who you are. Every organisation wants to generate new business opportunities and wants to sell more to current customers. So, what do you need to do? Check out our blog and video on database marketing to find out. Ultimately, your customer and prospect database is your biggest asset. Yet so many organisations allow it to degrade beyond the level where it becomes usable. Hence, it pays to have some kind of data policy or process to make sure that the data contained within the systems is as fresh as possible. You can’t just rely on periodic emails in the hope that the inevitable bounces tell you who is still there. That might help to a certain extent, but it’s much more about engagement than it is about pure database cleaning. A thought through approach to data management is what’s needed. That’s not just because of the new rules on data. It’s much more about how you run your marketing and the effectiveness of your business lead generation and business development efforts. Ultimately, the more you’re in touch with customers and the more relevant that contact, the more they’re likely to buy from you and not go elsewhere. Increasingly, clients ask GSA to help them to validate their databases. This is typically through segmented customer care calls to clean up the data and identify future opportunities. So, if you’d like to talk to us about data validation, data building or database cleaning, give us a call. If you’d like to know more about how GSA can help with customer contact activity through b2b telemarketing or inbound enquiry management, contact us now on 0845 658 8192 or use the form on this site. Is Payment by Results Workable for Lead Generation Suppliers? To win BIG, you need to think BIG!